FA: Bryan Law, Greg Barnes, September 2008. Fun climb which wanders left up the line of least resistance.160-foot pitch, 130-foot rap. Which SuperTopo guidebooks include a topo for Dastardly Rascal? 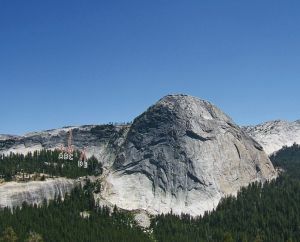 Rock Climbs of Tuolumne Meadows, by Don Reid and Chris Falkenstein.